Darcy Lee Donate Me Money So I Can Buy A House VirTual ReaLity Artificial Intelligence 911: Freedom of Speech. Torture. Human Hay Bale, SpongeBob, Wheet Bix. Osama Bin Laden - Dead - Nearly 10 Year Hunt. I own some information. I own some words. I own an audio recording. I rang a radio talkback show and yelled war two days before September 11th 2001. Now the problem is while thinking of freedom of speech. That they won't let me have a copy of the recording. Please read these words I am writing. A copy of this recording still exists. It definately exists. They simply just won't let me have a copy. They know it will be famous even a little. This is where freedom of speech comes in. Freedom of speech is the freedom to speak freely without censorship. The synonymous term freedom of expression is sometimes used to indicate not only freedom of verbal speech but any act of seeking, receiving and imparting information or ideas, regardless of the medium used. In practice, the right to freedom of speech is not absolute in any country and the right is commonly subject to limitations, such as on "hate speech". The right to freedom of speech is recognized as a human right under Article 19 of the Universal Declaration of Human Rights and recognized in international human rights law in the International Covenanat on Civil and Political Rights (ICCPR). The ICCPR recognizes the right to freedom of speech as "the right to hold opinions without interference. 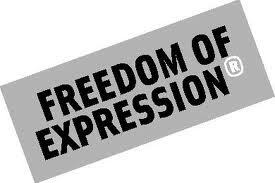 Everyone shall have the right to freedom of expression." 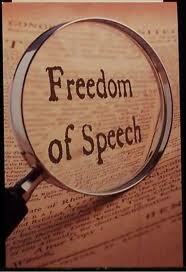 Furthermore freedom of speech is recognized in European, inter-American and African regional human rights law. So Basically I have this right to express myself freely note without censorship and I can't because my phone call is being nazi hidden away censorised by the Government. No one will help me not a lawyer not a policeman not the internet not myself. 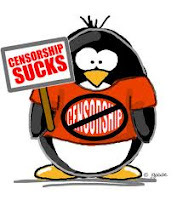 My freedom of speech is being killed and murdered by other people who want to hide the truth. My phone call where I yelled "WAR" is very important. Important enough to hide. They have taken it from my possesion against my wishes. I totally say right here in text right now that I want a copy and it is expressly against my wishes and against the law, the freedom of speech and many other laws, that it is being with held from me. They are with holding it from me at gun point. They give me death threats sometimes. He answered, "You shall love the Lord your God with all your heart, with all your soul, with all your strength, and with all your mind; and your neighbour as yourself ." But he, desiring to justify himself, asked Jesus, "Who is my neighbour?" Jesus answered, "A certain man was going down from Jerusalem to Jericho, and he fell among robbers, who both stripped him and beat him, and departed, leaving him half dead. By chance a certain priest was going down that way. When he saw him, he passed by on the other side. In the same way a Levite also, when he came to the place, and saw him, passed by on the other side. But a certain Samaritan, as he traveled, came where he was. When he saw him, he was moved with compassion, came to him, and bound up his wounds, pouring on oil and wine. He set him on his own animal, and brought him to an inn, and took care of him. On the next day, when he departed, he took out two denarii, and gave them to the host, and said to him, 'Take care of him. Whatever you spend beyond that, I will repay you when I return.' Now which of these three do you think seemed to be a neighbour to him who fell among the robbers?" He said, "He who showed mercy on him." So here I analyse it like i'm the one who has been set upon by thieves and robbers and murderers and beaten nearly half to death. By being denied a copy of my phone call is just one thing they did. I'm waiting on somebody to help me. Of course nobody will ever come. Nobody loves their neighbour. Your mind has never been a haven. Any person out there want to love their neighbour? Help me get a copy of my phone call back from the liars who took it freedom of speech. They torture me daily. With there technology. Thank you for your time.